This post has a purpose (not that every post doesn’t have a purpose)- you see, one of my friends and her girlfriend are about to embark upon an incredible journey to investigate the viability of creating a health care center for those without access to healthcare in Tola, Nicaragua. The primary purpose of this trip is to establish a medical exchange program for incoming medical interns to work with tropical medicine and infectious diseases, while providing increased health services to the locals of Tola. Lauren asked if I would help. So today’s post is a nod toward their hopefully very successful journey and clinical exchange. This traditional dish, Gallo Pinto, or Painted Rooster, is one that is eaten for any meal, depending on how it’s served. I chose to make this with rice and serve as dinner. I tried to keep this recipe as true to tradition as possible, substituting ham for red pepper, so Zara would not think twice about eating it. 2 cups white rice, made, how you like it. 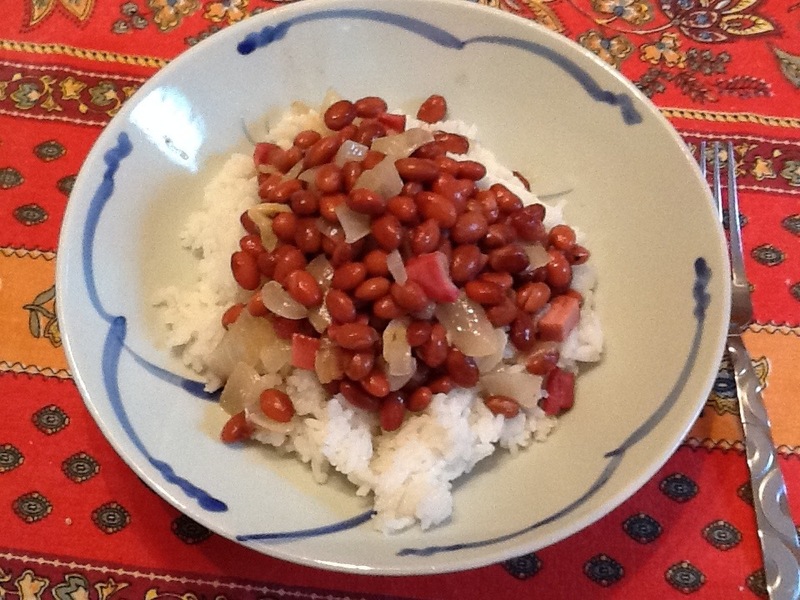 1 can of pink beans, or pink pinto (some recipes call instead for red kidney beans). Make your rice. Mine usually takes 20 minutes, so start this first and then get on with your beans. Heat oil in a sauté pan. Add onion and sauté until translucent, about 5 minutes. Add garlic and ham and sauté for a further 2 minutes. Add pink beans, drained and cook on medium heat for 10-15 minutes. Check out Lauren and Dandi’s page to learn more about their project.